Design and build for Premier Consulting Group, Ltd. Premier Consulting Group is a full-service accounting and business advisory service specializing in Tax and Business Advisory. Website features a customized J Query slider, 5 pages of content, and a customized contact form. 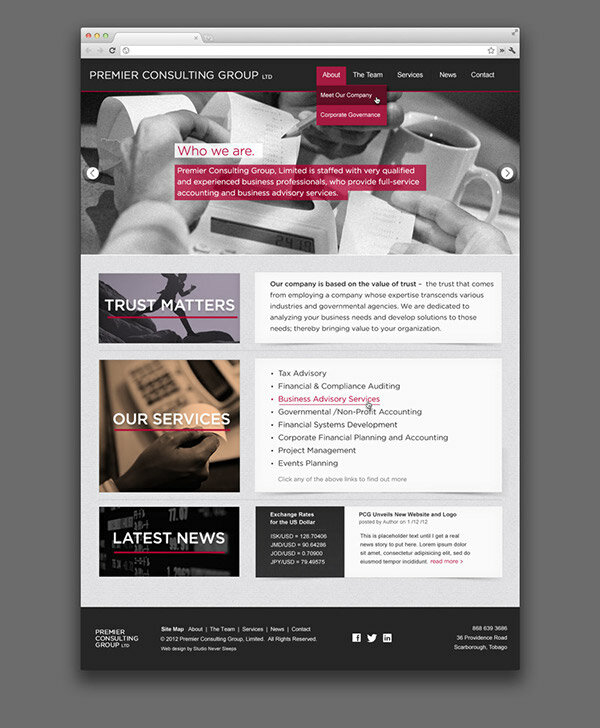 Custom web design for Premier Consulting Group Limited.